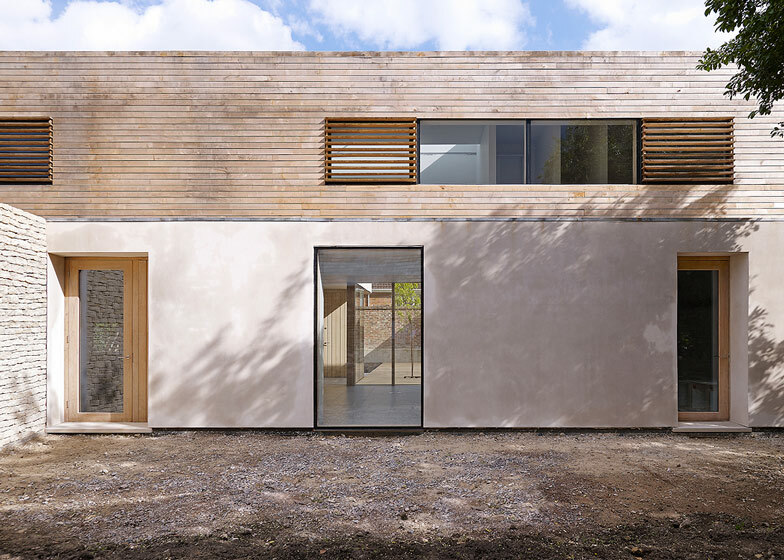 This courtyard house in the south-west of England by architects Studio Octopi integrates flush thresholds and wide doorways as subtly as possible, so that no one would notice it was specifically designed for a resident in a wheelchair (+ slideshow). 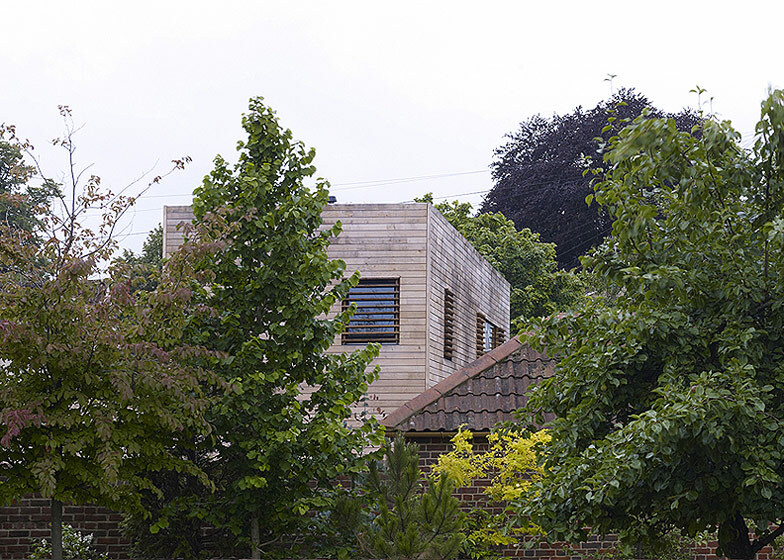 Named Orchard House, the building sits on the former site of a walled garden and orchard in Wiltshire and Studio Octopi was asked by the planning authorities to integrate the historic stone wall into the proposals, even though it had almost entirely eroded. 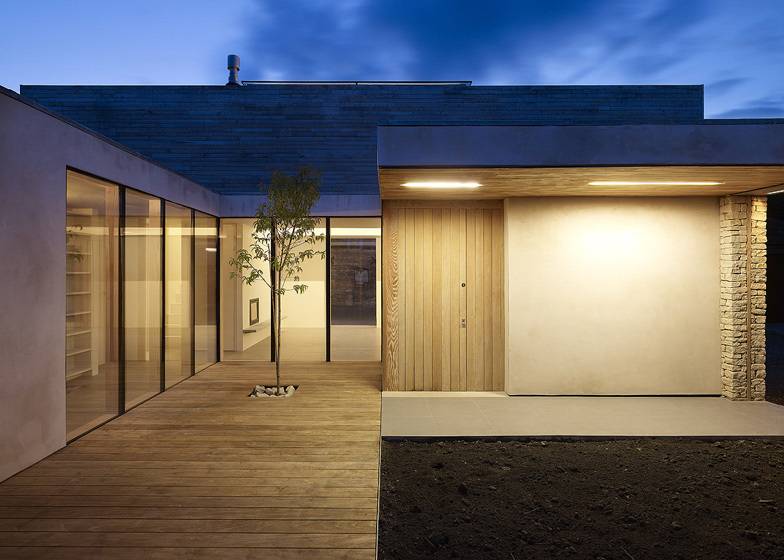 "We had to reinstate the wall and this helped to form a series of compound courtyard spaces," architect Chris Romer-Lee told Dezeen. The architects designed a two-storey house with both a staircase and a discreet lift, to enable easy access for a wheelchair without appearing unattractive. "The client was adamant that this house wouldn't be dominated by her disabilities," said Romer-Lee. "A family could easily live there without changing anything." The first floor runs along one side of the building, but is recessed around a double-height living room on the ground floor. 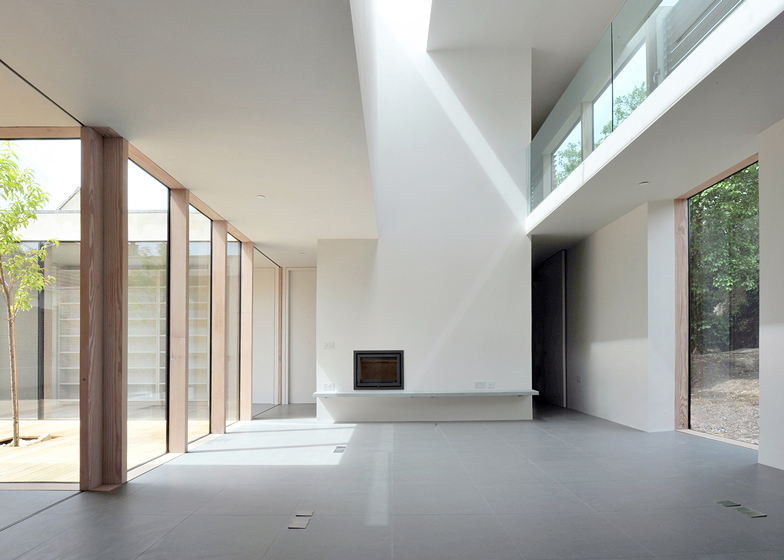 A wall of glazing separates this living room from the south-facing courtyard outside. 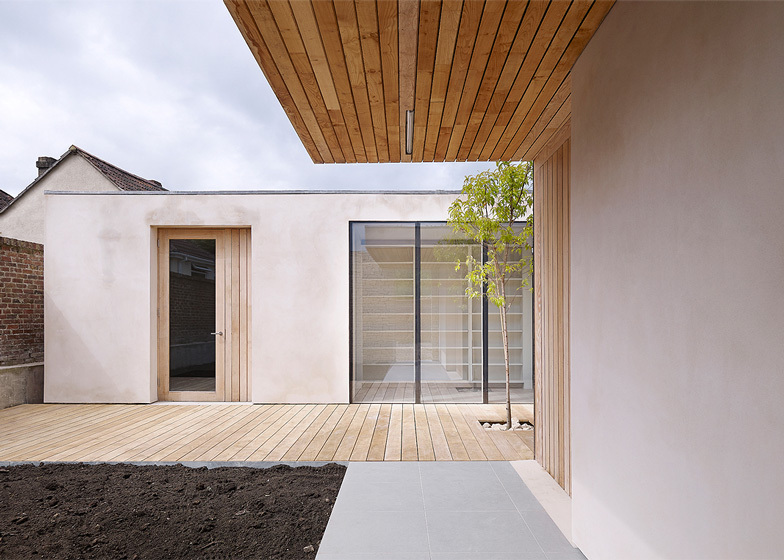 "We began to look at the house as a protective environment, a kind of hideaway within a series of courtyard spaces," explained Romer-Lee. The main bedroom and work study are located on the ground floor, while a guest room and hobby studio occupy the top floor. 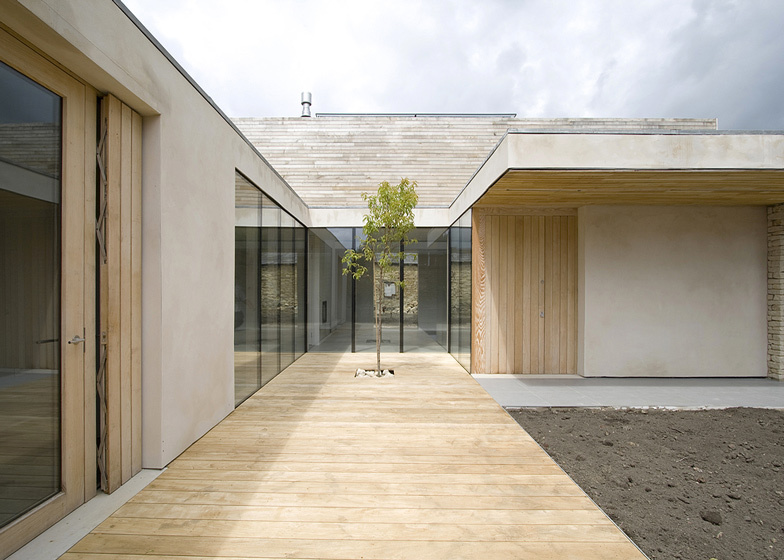 For the exterior walls, the architects used a mixture of lime render and timber slats, intended to reference the agricultural buildings typical of the surrounding area. 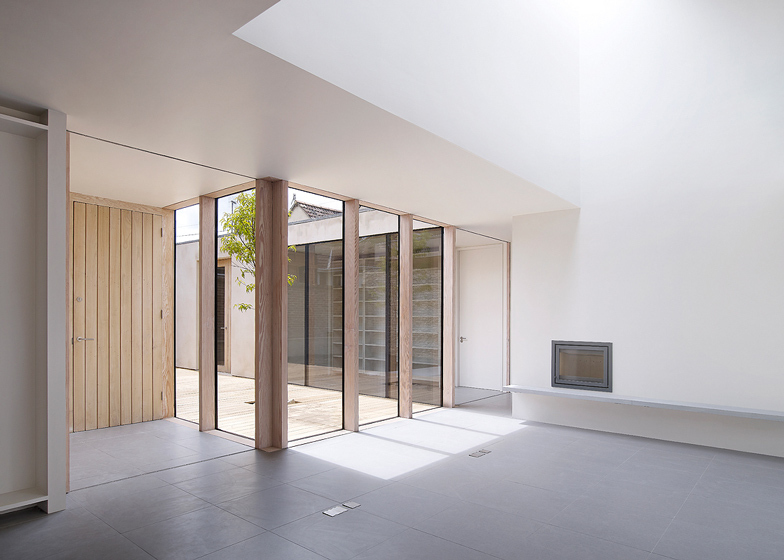 Other projects we've featured by Studio Octopi include a terraced house transformed into a combined gallery and living space.